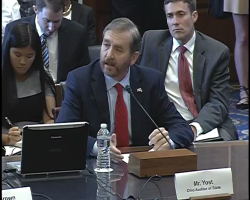 The Ohio Auditor of State David Yost participated in a hearing of the US House Agriculture Committee on July 6th. 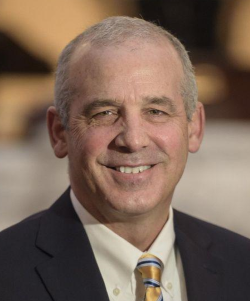 As I wrote in a previous post, Yost presented his ‘evidence’ of ‘fraud’ from an audit his office conducted on the Supplemental Nutrition Assistance Program (aka Food Stamps) in Ohio. It was obvious Yost missed the real issue with the ‘fraud’ he found and he then used his appearance in DC to raise money for a future higher office campaign. 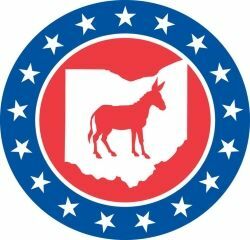 This entry was posted in Politics, Progressive and tagged 2016 election, Dave Yost, food stamps, Ohio, public assistance, Rep. Marcia Fudge, SNAP, Supplemental Nutrition Assistance Program on July 13, 2016 by Doug. Stop Scapegoating The Poor Please! Once again a politician, setting themselves up for higher office, goes to the ‘kick a poor person’ playbook to build some conservative cred. 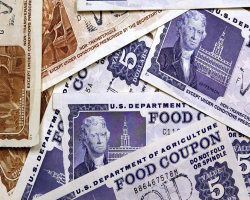 Ohio Auditor Dave Yost, who likes to kick things conservatives like to kick – public education, for example, – is now setting his sights on the low hanging fruit of the Supplemental Nutrition Assistance Program – better known as food stamps. Yost has a funny idea of fraud that fails to match reality. This entry was posted in Politics, Progressive and tagged 2016 election, Dave Yost, food stamps, Ohio, public assistance, SNAP, Supplemental Nutrition Assistance Program on July 6, 2016 by Doug.